On a cool autumn evening you are in the center of Rome with a group of friends? I do not know what to choose between a good and a fine pizzeria restaurant? Why choose when you can find quality and taste in a”only solution? Fuller d”agreement for all tastes has never been so easy as now in the center of Rome, grazie ad uno dei migliori restaurants historic center Rome. The pizza is one of the symbols par excellence of Italian cuisine as well as one of the most popular foods in the takeaway from all over the world. The birth of the pizza has its roots in the late Middle Ages: the first attestations of this recipe have been found just in some cities of central Italy, including Rome. Only at the end of”Eight hundred, con l”invention of pizza in honor of Queen Margherita to Naples, from food for the people became a real pearl of the Italian cuisine. The first pizzeria with tables and chairs back – si dice- to the 1830. It's been almost two hundred years since the birth of the first pizzeria. Today proliferate tastes the strangest, the more exotic toppings but the best pizzas are the traditional ones. Enjoy the freshness of the ingredients and the quality of the pasta in our Restaurant Pizzeria in downtown Rome. 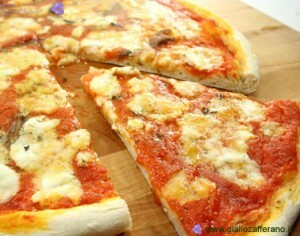 Do you know that the challenge between the pizza and the Roman pizza is still open? Da Noi, in the center of Rome, a stone's throw from the Colosseum, you can taste the real Roman pizza, by thin and crispy base, accompanied – as the tradition of the Roman forces grandmothers – by basil into pieces, pecorino cheese and pepper. Do you think the pizza places are too Spartans? Imagine long wooden tables without a tablecloth and uncomfortable wooden benches? Move away from the mind this picture: in our Restaurant Pizzeria, comfort and quality of service are impeccable. If you care to detail, our Restaurant Pizzeria in the center of Rome is right for you: you will enjoy of”atmosphere of Rome, pranzo the dinner and the, in our dining rooms are warm and welcoming and our terrace during the summer. And if you do not fancy pizza but a second? Try our tasty lamb chops or our oxtail or to try to get lighter, sliced ​​beef with arugula and balsamic vinegar. End your meal with a sweet home, we promise that you will not forget easily.